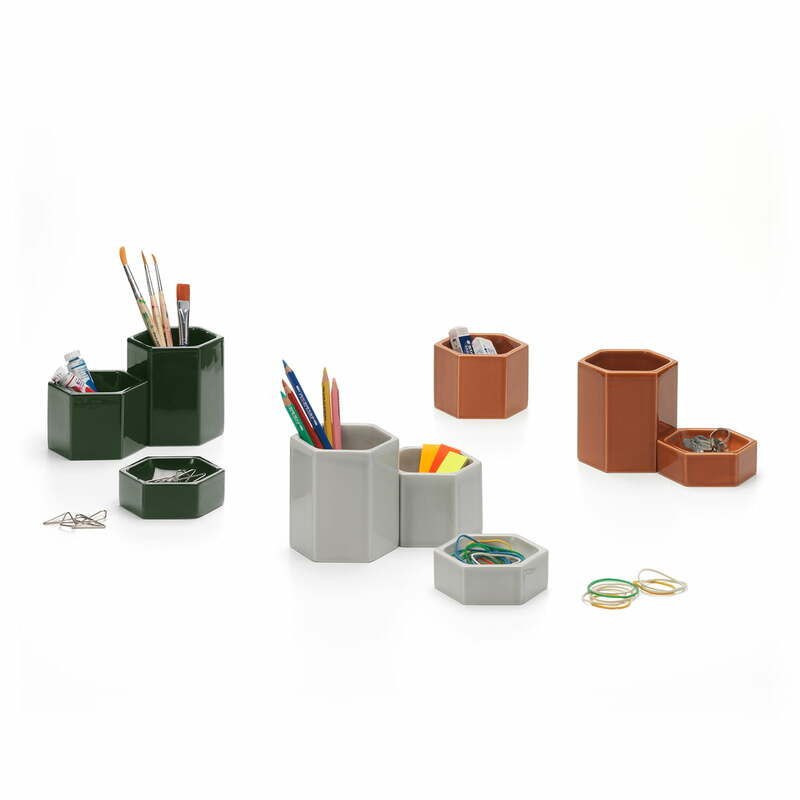 The Hexagonal Containers by Vitra were designed by the British designer Japser Morrison for Vitra. In the 30 years of cooperation Morrison has designed not only furniture but also smaller, decorative objects for Vitra. Hexagonal Containers also belong to this group. As their name suggests, the storage containers have an inspiring hexagonal shape. 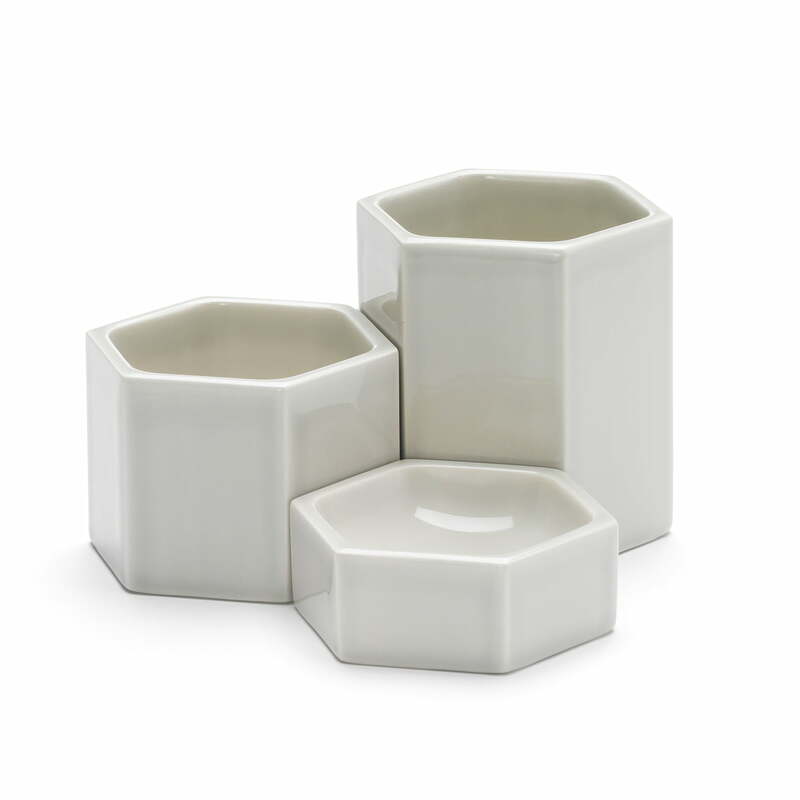 Made of solid ceramics, the containers impress with their weight and stability as well as their pleasant feel. 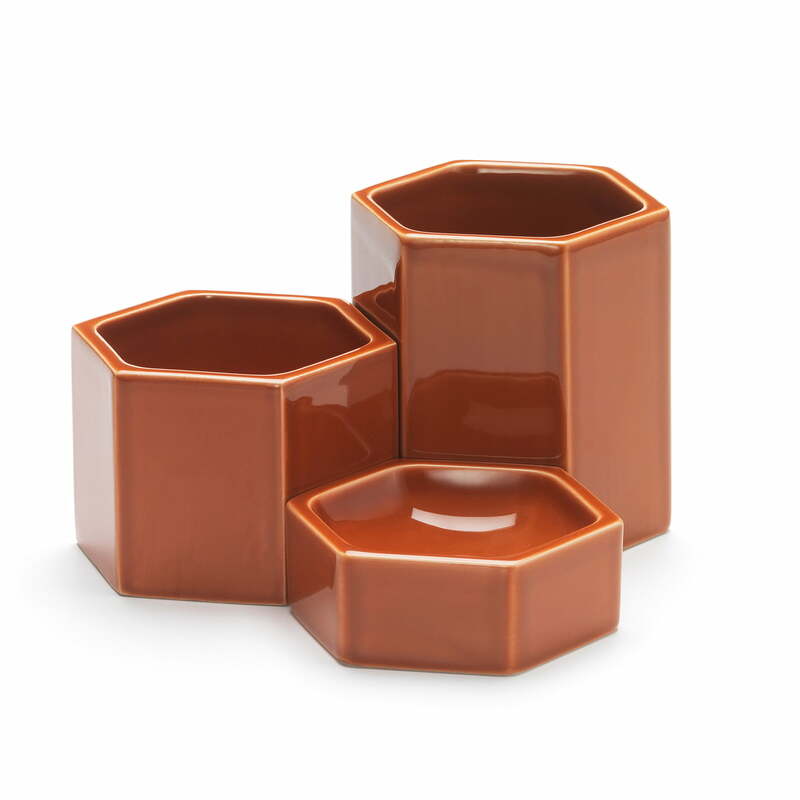 The Hexagonal Containers each consist of a set of three containers in matching colours and different heights in the ratio 1/3, 2/3 and 3/ 3. The containers are decorative and practical utensils for the working and living area, both alone and in a group. On the desk they give pens and paperclips a nice place and in the hallway keys can be stored well in the containers. 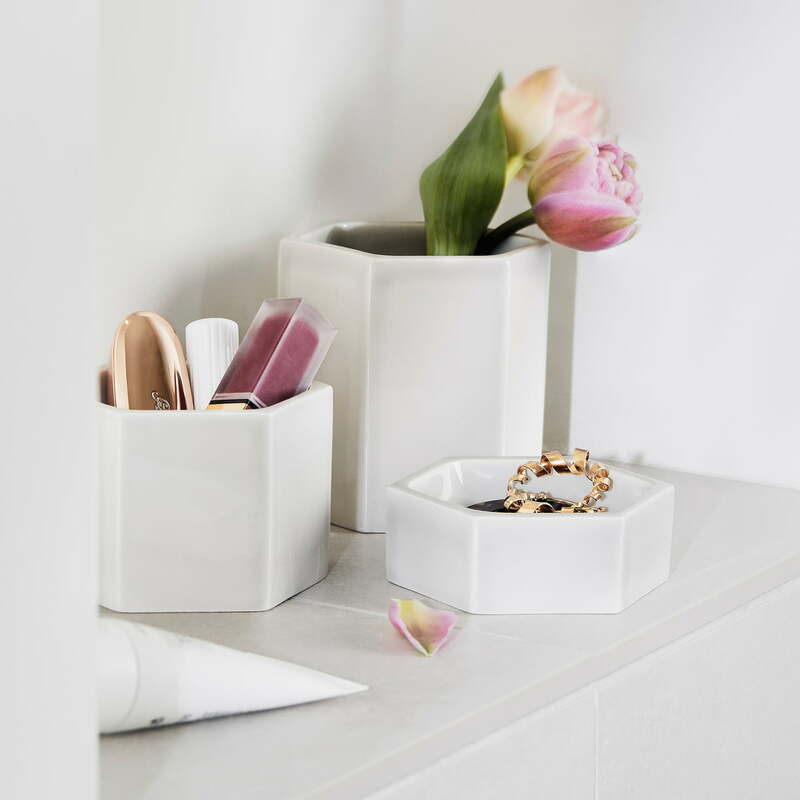 In the bathroom or bedroom, Hexagonal Containers are also ideal for storing jewellery and other accessories. The Hexagonal Containers of Vitra in the single view. 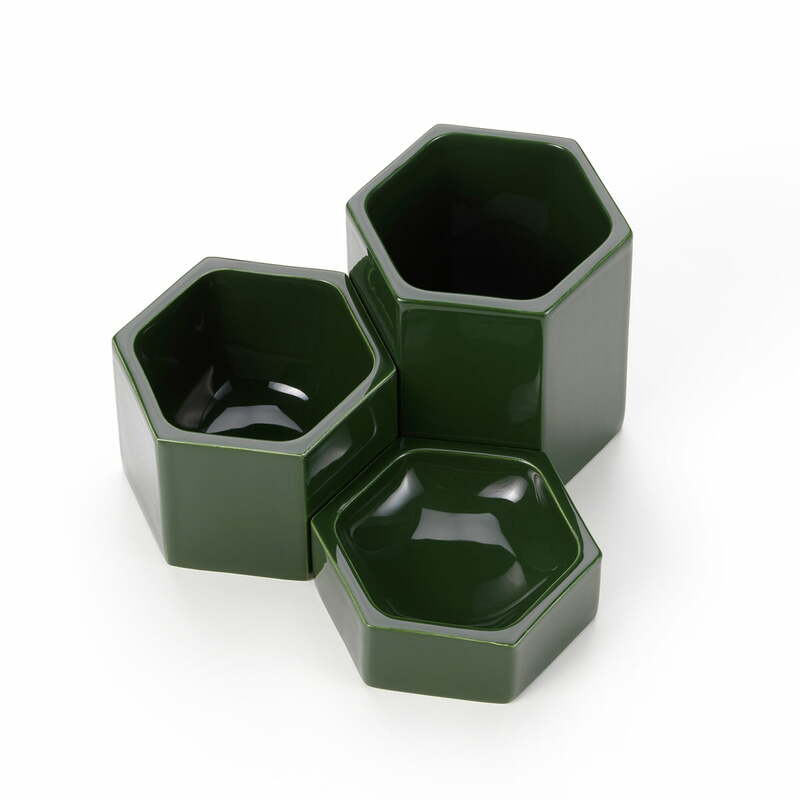 The Hexagonal Containers by Vitra were designed by the British designer Japser Morrison for Vitra. The Hexagonal Containers from Vitra in the ambience view. Brushes, paint tubes and other small items can be stored particularly well in the storage containers. On the desk they give pens and paperclips a nice place and in the hallway keys can be stored well in the containers. 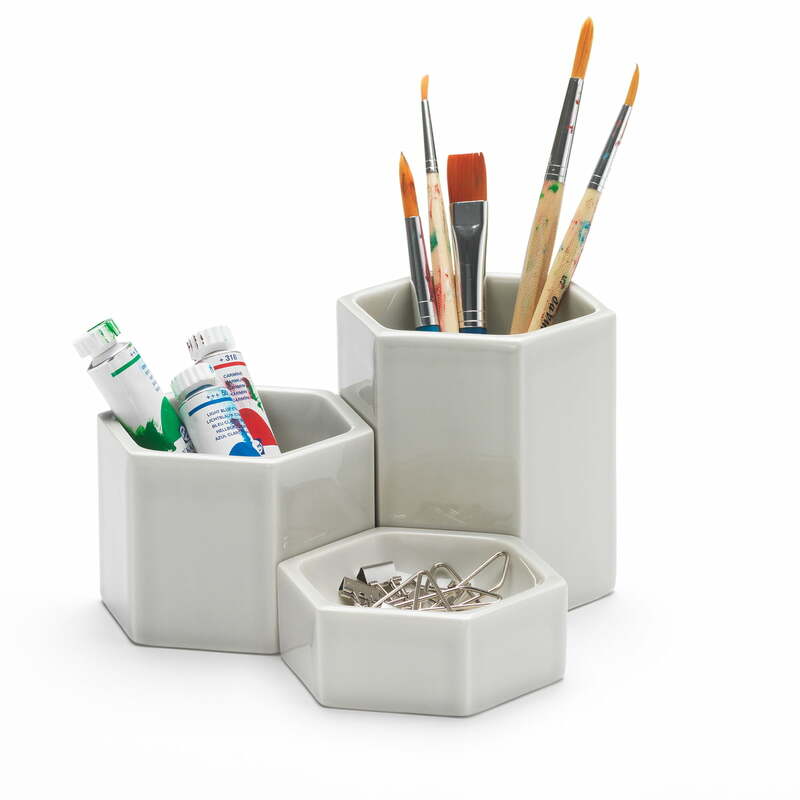 The Hexagonal Containers are also ideal for storing jewellery in bathrooms or bedrooms. 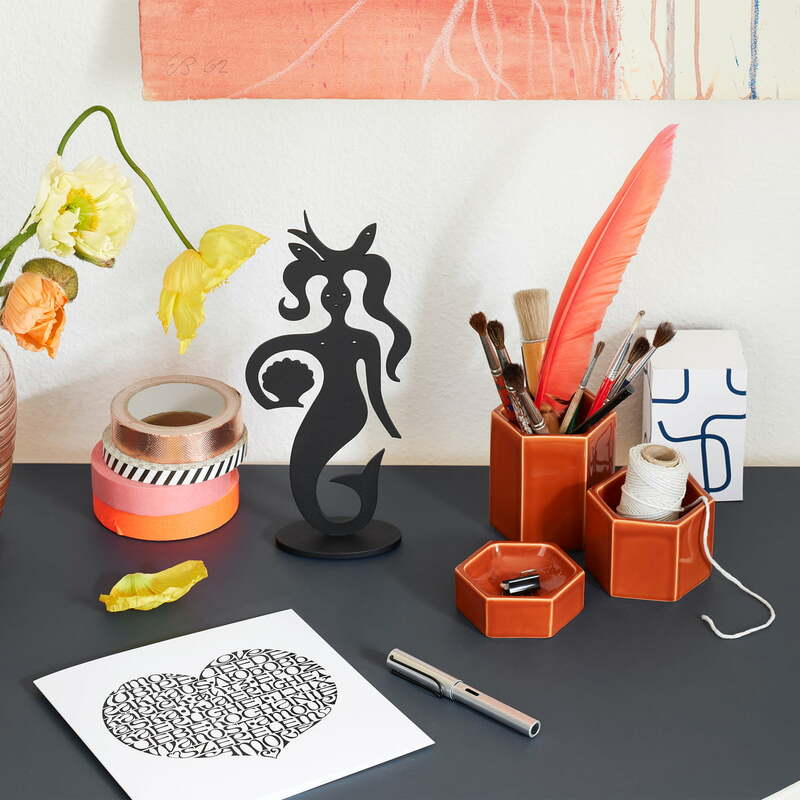 The Hexagonal Containers in rust-orange by Jasper Morrison and the Greeting Card International Love Heart by Alexander Girard for Vitra in the ambience view. The Hexagonal Containers from Vitra in light grey in the ambience view. In the bathroom, the containers offer space for flowers, jewellery and much more besides.